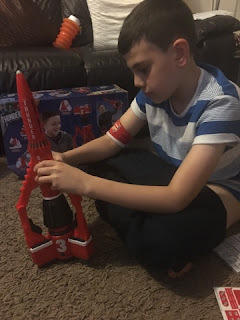 The boys love Thunderbirds and so far have been very impressed with the Thunderbirds Toy Range by Vivid Toys, So we were delighted to see that Thunderbird 3 has Supersized. But this cool Thunderbird 3 is not only supersize, but it's unlike any toy, as this Thunderbird 3 has live action smoke technology, at the push of a button you can watch as the Thunderbird 3 blasts off leaving behind a trail of smoke, It can also transform into drill mode, and comes complete with over actions phrases and sounds, along two mini figures Kayo and Alan. 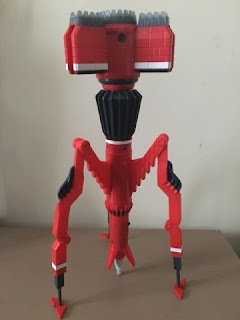 The Thunderbird 3 stands at 48.5 cm long which makes is supersized in comparison to the other Thunderbird 3 vehicles from Vivid Toys. Once you have this amazing Supersize Thunderbird 3 (RRP £49.99) your thunderbird collection will be complete. We can't tell you how amazing the smoke technology is, so we made this very short video to give you some idea of just how cool it is, for the complete review check the description box in this video. 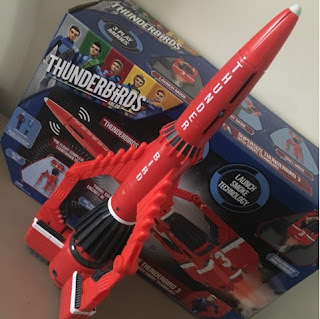 For more information check out vividtoysandgames/thunderbirds. Thunderbirds Season 2 is now available on watch on ITV and CITV from October. Check out Vivid Toys cool range of new toys, perfect for Christmas.